Genuine Fender® Stratocaster® tortoise shell, 4 ply, standard 11 hole pickguard for 3 single coil pickups. 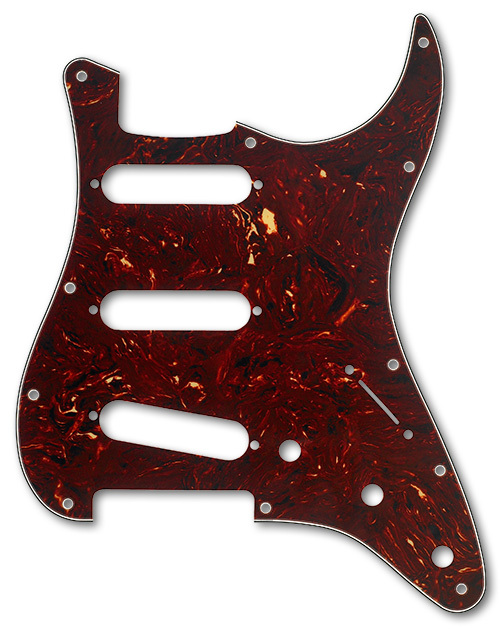 Tortoise shell pickguards are subject to warping and shrinkage, it is a characteristic of the celluloid and vinyl layering. Here is a link to an informative article provided by Fender all about the Tortoise Shell material.